Andrew Lindsay is a registered counselling psychologist who enjoys working with people facing a diverse range of issues including: depression, anxiety, stress, grief, addictions, issues related to health and illness, life transitions, relationships, and personal development. Andrew works supportively and constructively with these and other issues in a way that often enables the discovery of creativity and potential previously unknown to ourselves. He has worked for a number of years with Karuna, a Buddhist hospice service, where he provided counselling to people with life threatening illness and people experiencing grief. 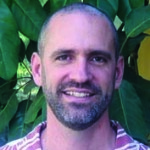 He also enjoys teaching and supervising counselling students at QUT and runs public workshops and classes on a variety of topics such as dream work, body symptoms, and Process Oriented Psychology. Andrew is an open and engaging presenter with much to offer participants.